One of these belongs to yesterday and the other I found under a pile of newspapers on my table. I imagine a sudden whisper in your ear might just break the concentration a little. peppylady (Dora) stupid laws are always good for a laugh. 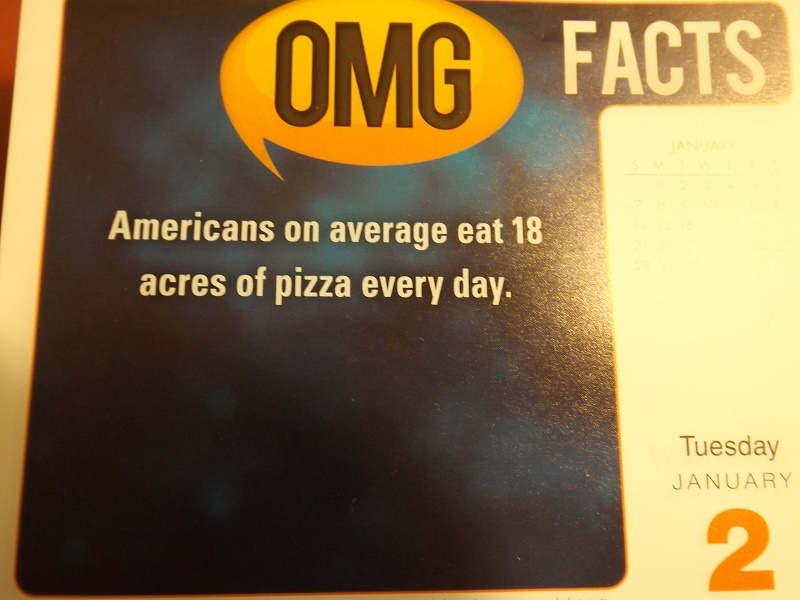 I could not possibly eat more than a quarter acre of pizza a day. joeh; I can only manage two slices, but I know people who can eat a whole pizza. Just how do you police silly laws like that? And yes, two slices of pizza (once or twice a year) is plenty. Elephant's Child; it would be silly to have people wandering around a moose hunt making sure people aren't whispering in ears. I've gone off pizza for a bit, probably had it too often last year so I really don't want any now. Margaret-whiteangel; anything that makes us laugh is worth reading. I lived in Vermont for a while, There are a lot of moose in Vermont. The state legislature was trying to pass some kind of law regarding moose hunting and one of the legislators said "Hunting and shooting a moose is the same as hunting and shooting a parked car" So I'm a little bewildered by that law. Grace; I'm bewildered by a lot of the ancient laws. There must have been a reason for making them, but surely they can let a few of them be erased by now. I can't remember what US pizzas were like. Pizzas seem to be different all over the world. We contribute out pizza share; about once a month Laura makes a pizza the exact size of a cookie sheet. She hates anything tomato, but I told her about white pizza, and she's become a master. Just pizza dough, lots of chopped veggies and mozzarella. If she uses meat it's sausage. No pepperoni! I'll try to remember a picture when pizza happens again. PS-We only call it pizza. Pie was in Dean Martin's eye. The word pizza means pie so if you say 'pizza pie' you are saying 'pie pie'. In the USA, they take a basic bread dough, flatten it out into a circle, put any damn thing they want on it, and call it pizza! Also, any bread like substance that has tomato sauce and cheese on it is referred to as 'pizza' as in English muffin pizza (which is totally disgusting!) A decent history of 'pizza' can be found at https://en.wikipedia.org/wiki/History_of_pizza. Thick, square pizza is called Sicilian pizza here in the USA and really is just focaccia in a pan. You want authentic pizza? Go to Naples - everything else is just whatever anyone wanted to throw on bread, bake and eat. 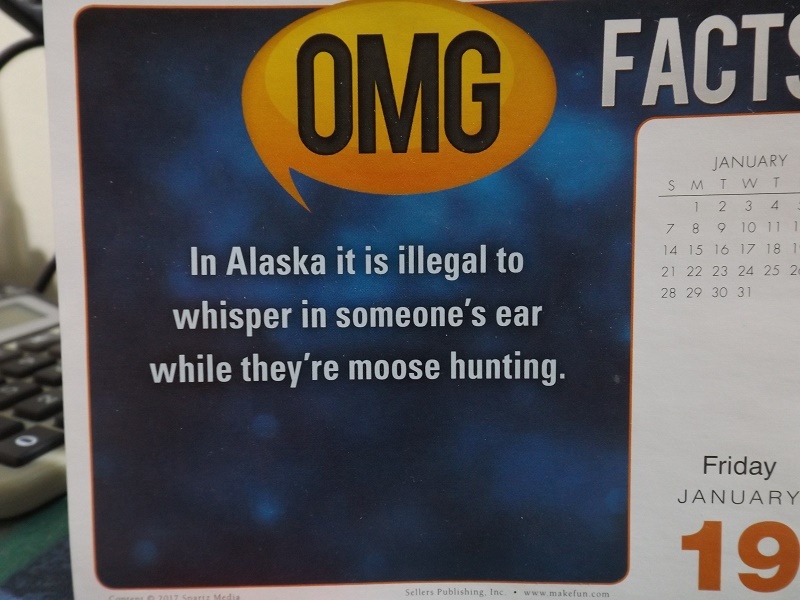 That first whisper must have had disastrous results to have forced a law to deal with it. Some one is getting my share of the acreage. I might be the only American that isn't obsessed with pizza. Eighteen acres of pizza! I'm sure not eating MY share.. I love that everyone can do their own take on pizzas and have fun with it. For me, that's the joy of food. Want it on a muffin. Go for it. Want it thick, go for it. Want it thin with zero dairy and loaded with veg (that's me), I go for it. But I'm not a pizza snob. I'm all for do it whatever way you want! Life is short. Taste the yum. Having said that, no one I know each that much pizza in any form. But fun to read. I laughed at the moose one.